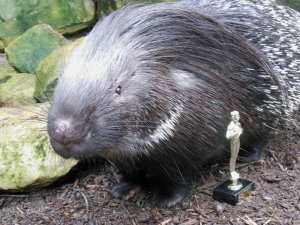 And the Winner is...Drusillas Animal Oscars are Announced! The most glamorous event of the zoo’s social calendar took place at Drusillas Park this week. The 2016 Animal Oscars gave recognition to a host of four-legged stars, for the enjoyment they have brought to many peoples’ lives. The Awards proved a wild success and were even reported to rival this year’s prestigious Academy Awards, which take place this Sunday. In a tense ‘quill he win’ moment, Spike the porcupine scooped the award for ‘Best Leading Animal’ for his arguably prickly performance in ‘Bridge of Spi(n)es’. Spike first appeared at Drusillas in March 2015 and everyone agreed he looked pretty sharp on the night. 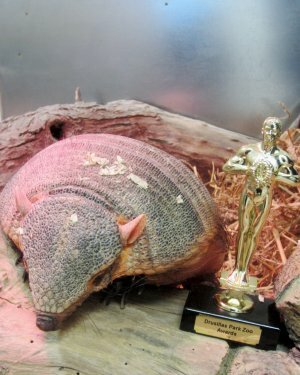 ‘Best Animal in a Supporting Role’ was snuffled up by Gretel the hairy armadillo for her delivery in ‘The Education Department’. 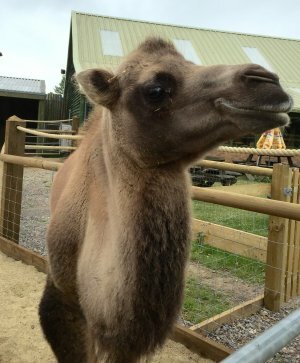 Gretel arrived at the Park in February 2015; she has met numerous school children visiting the zoo, bringing learning to life in every performance. The critics had high hopes for the Visual Effects category and they were not disappointed. 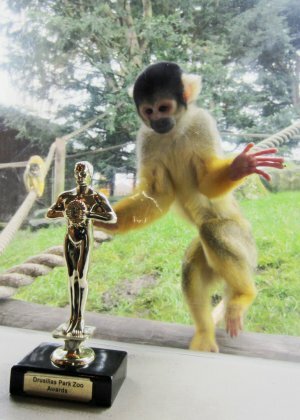 Chasing off some stiff competition, this year’s award was stolen away by the squirrel monkeys. Squirrel Monkey Island provides the perfect backdrop for this fast pace motion picture. The daredevils are always at the centre of the action, leaping acrobatically through the trees; a must see for any zoo goer. Rumour on the red carpet suggested that two residents were not so pleased with the outcome on the night. New comers, Lofty and Roxy, the Bactrian camels arrived at the Park in July 2015 and were a dead-cert for ‘Best New Comer’. However, they left the ceremony before the announcement after reportedly getting the hump!